DNV GL has released a statement claiming that it has given general approval for ship application (GASA) for VARD’s new LNG-type B-tank design. The tank has resulted from a joint industry project that commenced in April 2015 by VARD and DNV GL. 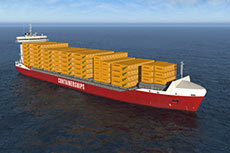 With design challenges and feasible solutions considered, DNV GL agreed to grant GASA for this new design. Petter Tutturen, the LNG Business Director for Gas Carriers at DNV GL, added: "The development of the LNG tank design from the contract signing to the achievement of the GASA Statement is one of most time-efficient projects I have ever seen. 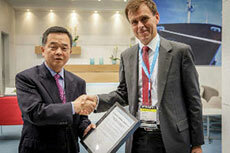 DNV GL has released a statement claiming that it has signed a classification agreement with Shanghai Waigaoqiao Co. Ltd, in which it will classify three LNG-ready container ships. 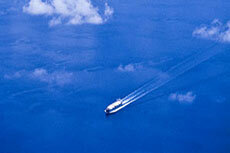 DNV GL has released its new vessel classification rules and made them available online. 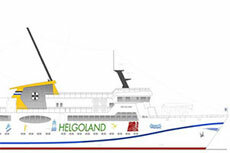 The new Fassmer Helgoland ferry will be constructed under the supervision of the classification society DNV GL.